Summer construction: We’re at work so you can play! We’re at work so you can play! For most people in these here parts, summer means long days and cramming in more outdoor activities than you can shake a stick at. 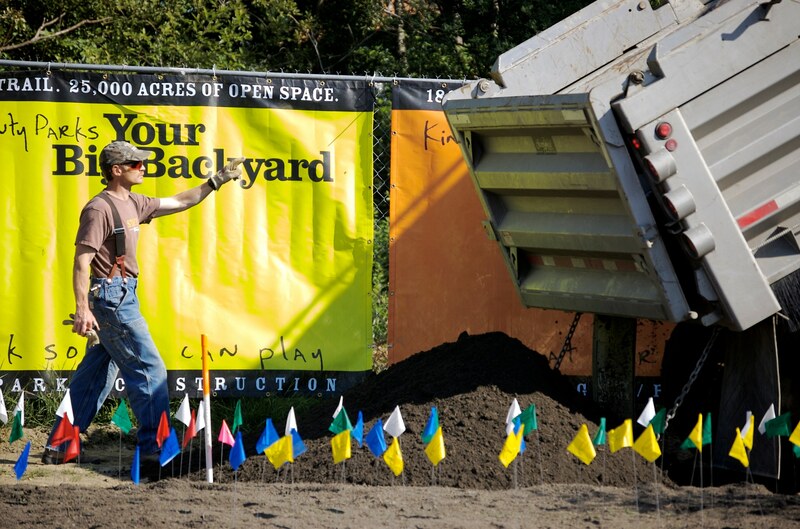 For us at King County Parks, summer has another meaning: construction! Wayfinding kiosks on the regional trails – keep an eye out for their fresh new look. All kiosks are expected to be updated by the end of July. Yurts at Tolt-MacDonald Park – we’re improving the floors, making ’em smooth like butta. Should be wrapped up by mid-July. Also at Tolt-MacDonald Park, we’ll be improving the backcountry trails in the upper forest, which are popular for mountain biking. Like trail-building? Sign up to help us! New picnic shelter at Cougar Mountain at the Anti-Aircraft Peak overlook – we’re adding a picnic shelter that’ll be a scenic spot for your next event. We expect to complete the shelter in August. North Shorewood Park in White Center – look for new playground equipment to be installed this summer: groovy spinny things, climby things, and swingy things, hurrah! 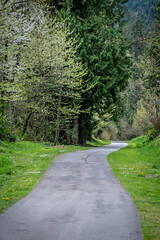 Construction started back in April to replace a dilapidated bridge over the Snoqualmie Valley Trail near the Mt Si golf course, and we’re expecting to wrap up construction in August. These projects are funded in part through the 2008-2013 parks levies, the Real Estate Excise Tax (REET), which goes to Parks for capital improvements and infrastructure repair, and federal and state matching grants. And stay tuned early in 2014 as we break ground on the first section of the Lake to Sound Trail along Des Moines Memorial Drive through SeaTac and Burien! Wait, why are you still reading this? Now go outside and play!